Calgary’s Ron Mathison was the inaugural winner of the Elite Western Rider Award, in 2009, by posting a pair of Top-10 finishes in Western Performance Horse action. 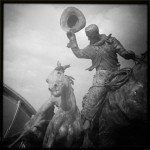 It’s almost time for the Calgary Stampede – in fact, three more sleeps – and I want to remind you all to check in on our website this Friday for the live feed. I believe it will begin with draft horse competition coverage, followed by the Cowboy-Up Challenge. 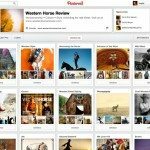 Right now I want to let you know about the Calgary Stampede’s Elite Western Rider Award. 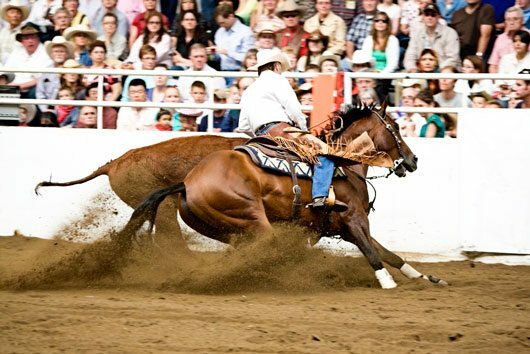 For the second year, the Calgary Stampede Elite Western Rider Award will be up for grabs among all competitors in the western performance horse events at the 2010 Calgary Stampede. From a total entry list of several hundred names, the award represents a tip of the hat to those riders nimble and versatile enough to negotiate the challenges of all three western performance horse events — the Calgary Stampede Team Cattle Penning Competition (which runs from July 9 to 12 at the Pengrowth Saddledome), the Calgary Stampede Cutting Horse Competition (July 13 to 15 under the Big Top), and the Calgary Stampede Working Cow Horse Classic (July 16 and 18 under the Big Top). “It’s a way of recognizing some of the really good horse people that compete in not just one of our events, but two or all three of them,” says Christine Sowiak, chair of the Stampede’s Western Performance Horse committee. 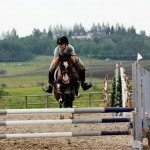 All riders who compete in at least two of the three disciplines are eligible for the Elite Western Rider Award, which carries no separate entry requirements, and all competitors earn points toward the title with Top-10 finishes in at least two of the events. The second annual Elite Western Rider Award will be presented on Sunday, July 18 after the Calgary Stampede Working Cow Horse Classic wraps up under the Big Top, with the winner receiving a handcrafted Stampede champion buckle. Calgary’s Ron Mathison was the inaugural winner of the Elite Western Rider Award, in 2009, by posting a pair of Top-10 finishes in Western Performance Horse action. 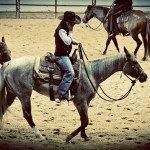 Mathison was fourth in the 14 Class final in Team Cattle Penning, and placed fourth overall in the Non-Pro Bridle category of the Working Cow Horse Classic aboard Another Hot Chic. Those chasing Elite Western Rider Award points can compete in any of the four Team Cattle Penning categories (Open, 14 Class, 10 Class, and 7 Class), and either of the major divisions in cutting (Open and Non-Pro). 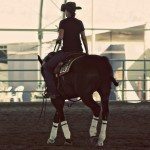 The Open Bridle, Open Hackamore, and Non-Pro Bridle classes are eligible in the Working Cow Horse discipline, but Limited Open and Novice Non-Pro are not. 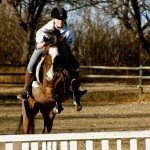 Western Canada, particularly southern Alberta, enjoys a sterling standard in all three Western Performance Horse events, thanks to the excellence of the region’s trainers, and should give area competitors a leg up in the arena from July 9 to 18 as Elite Western Rider Award points are tabulated. “This part of Alberta is blessed to have some of the world’s best trainers and competitors,” says Sowiak. “Some of the best cutters on the circuit, in any given year, come out of Texas, and there are some really elite penners who come up from Oklahoma or Arizona.